Wherever you come from, we’re the society that fits all people! Over the course of the year, we run a lot of different and most entertaining events for all students. 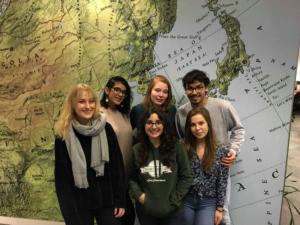 We’re a fun society, that aims to bring people together, international or not, and build new friendships across the globe. Most events are for you to get to know Dundee, Scotland and other internationals. As a society, and as internationals ourselves, we know how hard it can be to live abroad. Whether it’s the language, missing home or your friends and family, we went through it all. Because we know the struggle, we know how to overcome the doubts – getting to know people with the same experiences is one way, having fun the other. But we do BOTH! All our events are opportunities to connect through experiences, differences and culture. We’re here to support you. Additionally, we’ve got events related to a range of different nationalities and cultures (just as our committee is very international too); Italy, Brazil, Bulgaria and Germany are only a few examples! This year we will start with a Fresher’s Dinner where we come together to eat and celebrate the start of the semester. Students can introduce themselves and break the ice between each other, combined with delicious food it’s definitively a worthy experience. As the year progresses we have other events such as the Dundee Law Treasure Hunt, our Secret Santa Party or a three-day trip to the Highlands with a Scottish guide! Scotland has been said to be the most beautiful country in the world in 2017. We think it deserves to be seen with a pleasant company. The raw beauty of Scotland will make you stop breathing, so if you’re up for nature and adventure, this is your opportunity! These few examples are only a handful of great events we organize; this year the committee is especially motivated to introduce some new ideas. We can’t tell you all about them just yet, but be sure it’s going to be F-A-B-U-L-O-U-S! 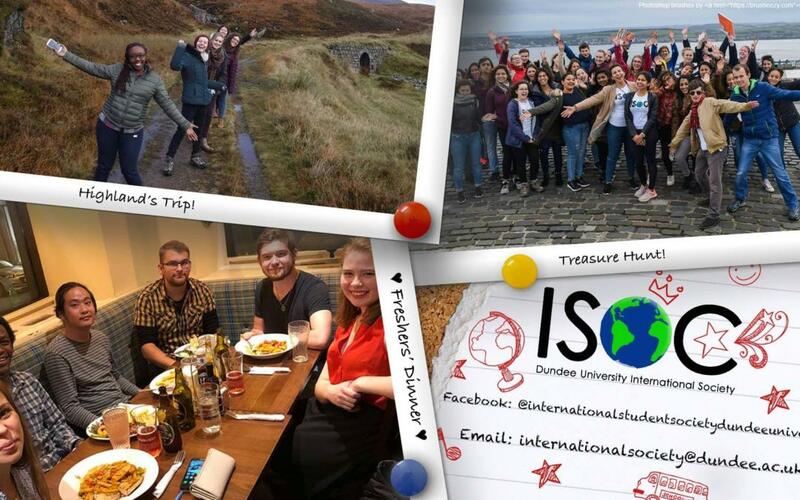 If you want to be up-to-date with our society follow us on Facebook International Student Society Dundee University and Instagram @ISOC_uod. We promise this year is going to be exciting!